RPM Automotive Services offers top-quality auto repair for Rohnert Park residents. Your body needs regular checkups at the doctor. Your car is the same way! Without routine maintenance, you could be headed towards more expensive car repair. We offer regular maintenance services such as oil changes, transmission fluid exchange and service, tune-ups, hose and spark plug replacements, air filter replacements, tire rotation, timing belt replacements, and brake repairs. While they may seem small, these services are important to the overall function and performance of your vehicle. Delaying maintenance for too long can lead to bigger problems down the road, such as waiting too long to replace your brake pads and causing damage to your rotors. This not only leads to more expensive car repair, it is extremely dangerous. Having a regular automotive repair shop you can rely on is critical. Fortunately, our family owned and operated facility provides service and repairs you can count on. Our experienced ASE Certified technicians have knowledge of all types of vehicles, imported and domestic. In addition to personal vehicles, we also offer fleet service. 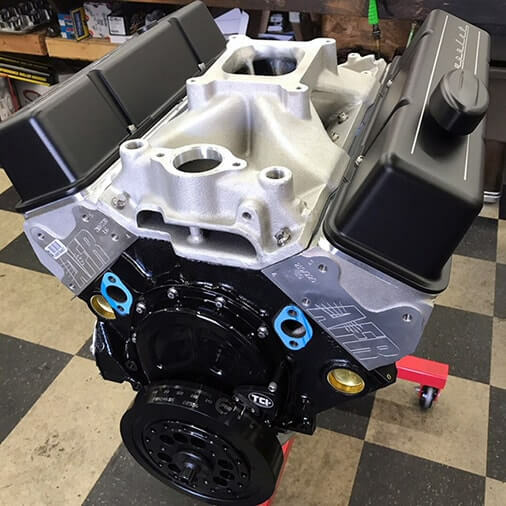 Our in-house automotive machine and engine shop is able to complete complex repairs to your engine, with the ultimate goal to “Do It Right The First Time”. You can count on our auto repair facility in Rohnert Park for professional, meticulous service. We stand behind every repair; that’s why we offer a 2 year/24,000 mile nation wide warranty. If you need assistance with your vehicle or fleet of business vehicles, come to the facility that has been a trusted fixture of the community for over three decades. We don’t just want to fix one issue on your vehicle – we want to keep your car running smoothly for years to come. Call us today!